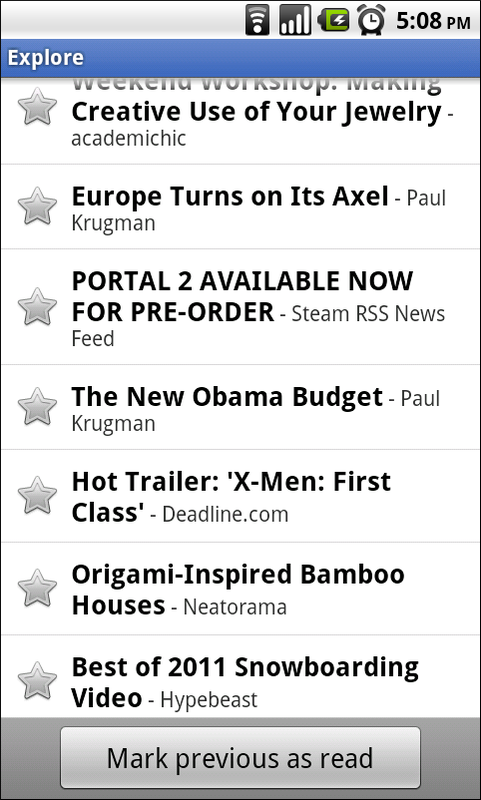 Unread count widget – choose any feed, label, person, or “all items” and get the unread count on your home screen. Clicking on the widget takes you to straight to that stream. News ticker widget – if you prefer a bit more information, you can add a larger size widget that cycles through items on any stream you want in Reader. Clicking any headline will take you to the article, while clicking the folder will take you to that stream. Mark previous as read – if you’ve used the mobile version of Reader before and missed this feature, it’s now back! As you scroll down your reading list, hit “Mark previous as read” at any time to only mark things above the screen as read. We hope you enjoy the updates – give it a try! You can download the app in all countries from the Android Market. The Google Reader app is available for devices running Android 1.6 or higher, with widget functionality available for devices on Android 2.2+. Copyright © 2005, 2006 A RM Limited. All rights reserved.